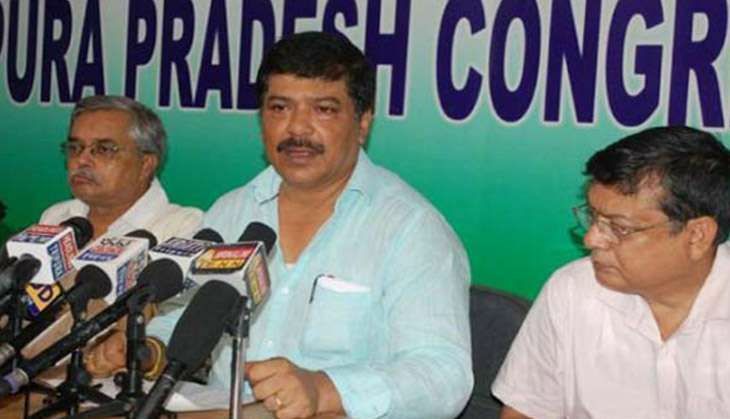 Six Congress MLAs from Tripura have written to Assembly Speaker Ramendra K Nath announcing their decision to disassociate themselves from the Congress party and join the Trinamool Congress. Another Congress MLA Jitendra Sarkar has decided to rejoin the ruling CPI(M). Jitendra Sarkar, 71, a former two-term speaker of the Tripura assembly, joined the Congress with his supporters in March 2010. He was denied re-nomination by the CPI(M) in 2008. The six are -- MLAs Sudip Roy Barman, Asish Kumar Saha, Dilip Sarkar, Paranjit Singha Roy, Diba Chandra Hrangkhawl, and Biswa Bandhu Sen. With this move, the Trinamool is now the prime Opposition to the Leftist Manik Sarkar-led Communist Party of India (Marxist) government in Tripura, reported The Indian Express. In their letter to the Speaker, the MLAs said that they were conforming to the provisions of the Tenth Schedule of the Constitution and have decided to dissociate from the Congress and join the TMC with immediate effect. The Sarkar government is comfortably placed with 50 seats in the 60-member Assembly. The Congress, with 10 seats, was the prime Opposition party but has now been reduced to three. The Tripura Assembly election is scheduled to be held in 2018.Manik Sarkar has been Tripura's Chief Minister since 1998 and according to the affidavit that he submitted during 2013 Tripura Assembly election, he has probably the lowest monetary resources of all chief ministers of India.